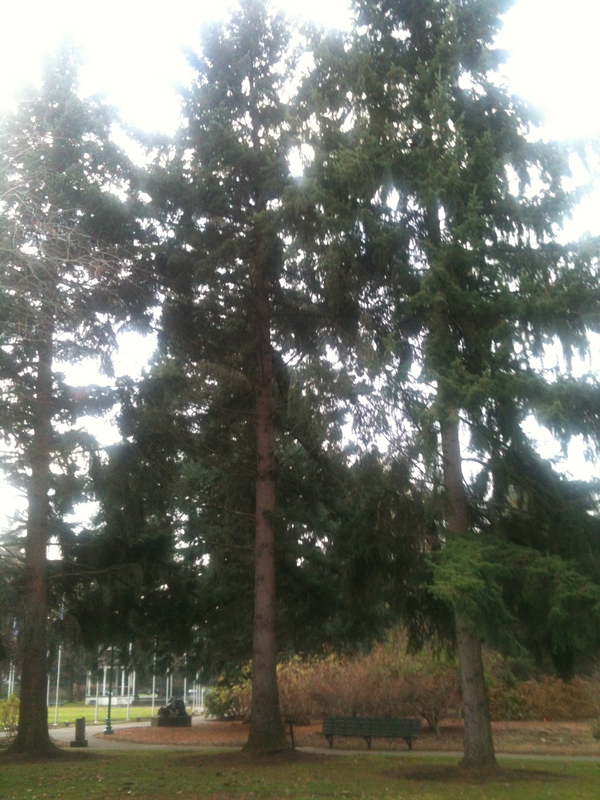 Douglas fir (Pseudotsuga menziesii) located at the State Capitol Building in Salem, Oregon. 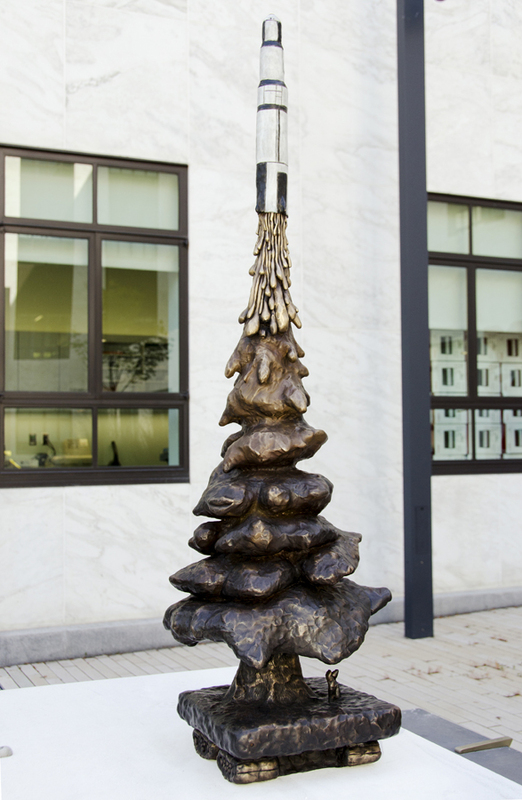 The tree is located about 460 feet to the right (while looking into the building from the outside)(West-Northwest) of the main front entrance to the Capitol Building, near the state flag display. 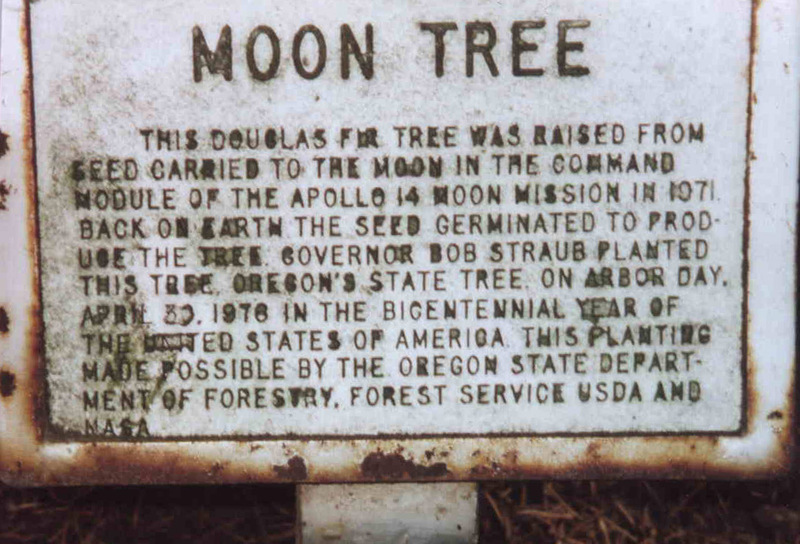 The tree was planeted on Arbor Day, 30 April 1976, by Oregon Governor Bob Straub as part of the Bicentennial celebration. 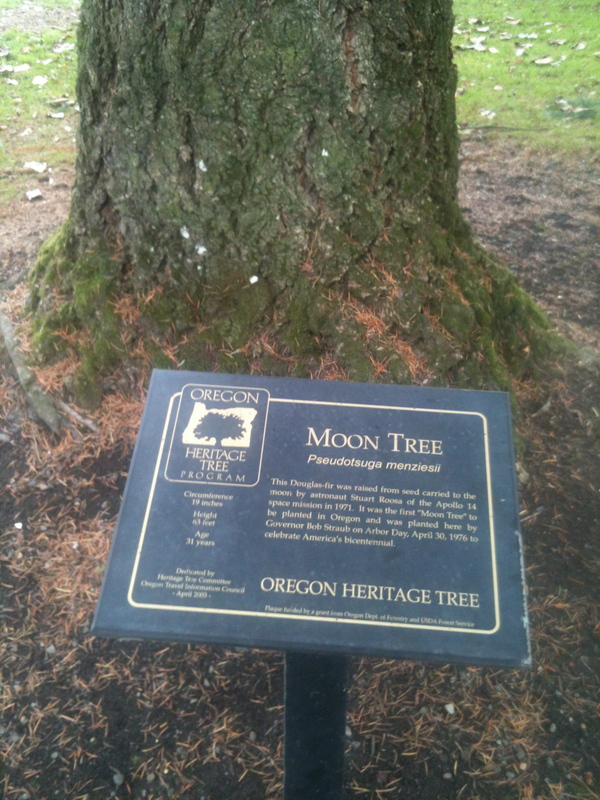 The tree has been designated as an Oregon Heritage Tree. A dedication ceremony was held on 11 April 2003, including installation of a new sign. (The original sign is shown below.) The tree is currently not doing well due to crowding by other nearby trees. 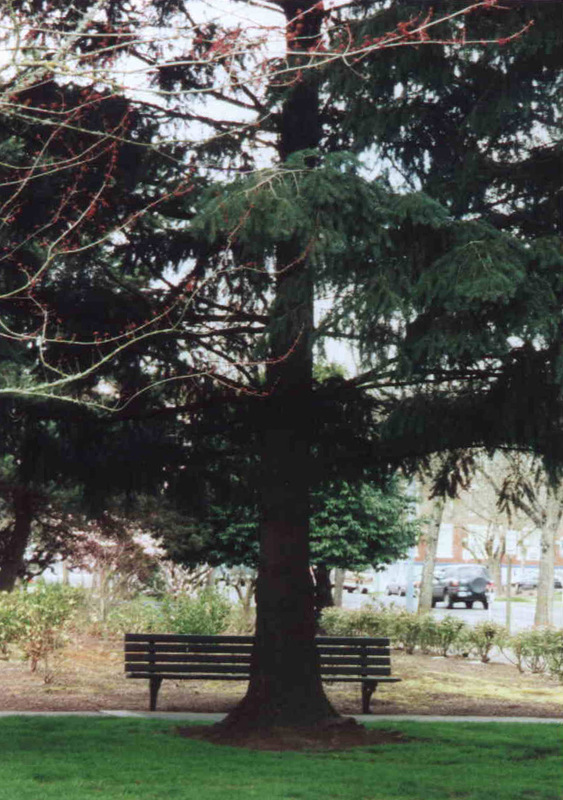 A plan to remove some trees and prune others is being considered. 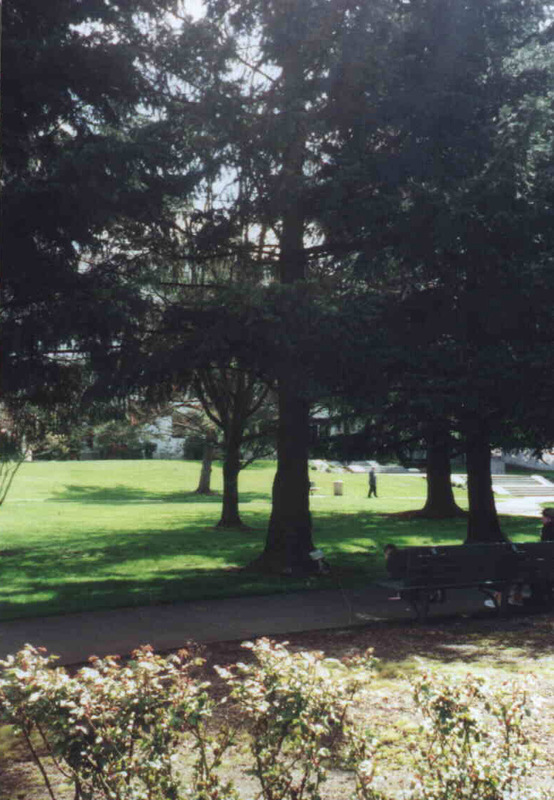 The tree is located at 44 deg 56.351 min N, 123 deg 01.901 min W.
A statue was commissioned by the Oregon Percent for Art in Public Places Program. 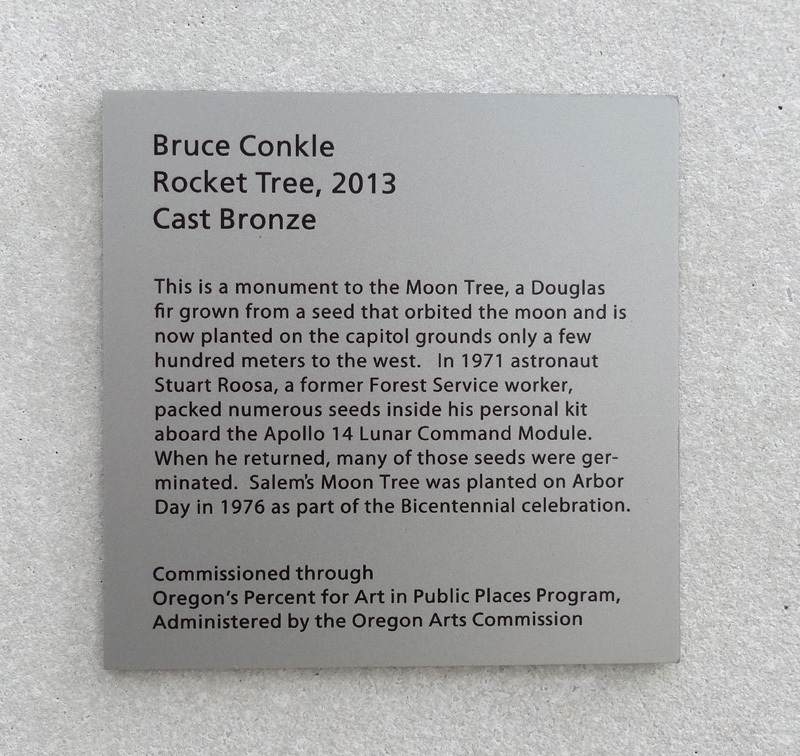 Created by Bruce Conkle, the statue was installed at the Oregon Department of transportation headquarters in Salem in the summer of 2013, and features the Apollo 14 Saturn 5 and a Douglas fir Moon Tree. Photographs at top courtesy of Erica Botkin, three photos at center courtesy of Robert Barton, photos of statue and plaque courtesy of Marne Lucas.